US Olympic swimmer Ryan Lochte says he hit a dark period after returning home from the 2016 Rio Olympics. Locthe's time in Rio was overshadowed by an international controversy over an alleged robbery with three other Olympic swimmers during a night out in Rio. Lochte had claimed in an on-air interview that he and his teammates, Jimmy Feigen, Gunnar Bentz, and Jack Conger, were robbed at gunpoint by men dressed as police officers. However, in the days after, security footage and police reports found a different version of events. Lochte and his teammates had stopped at a gas station to use the bathroom and had reportedly damaged the bathroom. Security then demanded money from the swimmers, at one point pulling their guns on them. The incident became an embarrassment to US Swimming and Lochte, as it became clear he had fabricated the story. The criticism was so intense that Lochte said he had suicidal thoughts, according to an interview with ESPN's Allison Glock. "After Rio, I was probably the most hated person in the world," Lochte mumbles. "There were a couple of points where I was crying, thinking, 'If I go to bed and never wake up, fine.'" Asked if that means he considered suicide, Lochte nods slowly. "I was about to hang up my entire life." 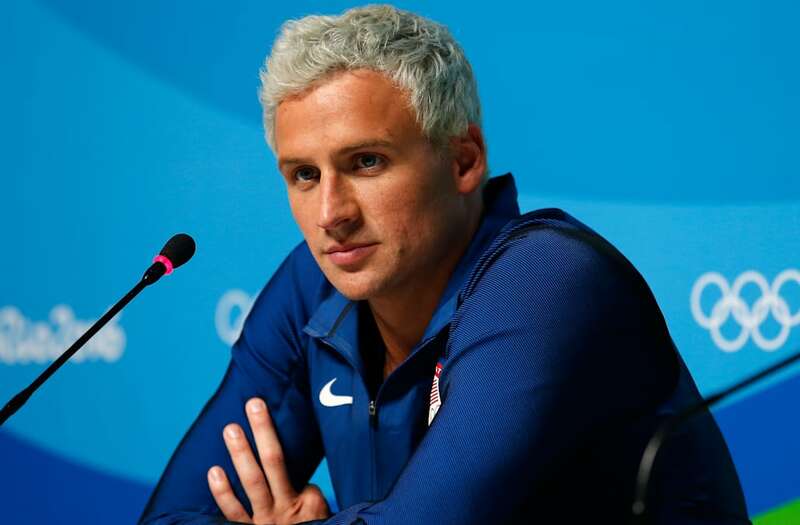 According to Glock, after returning to the US, Lochte had lost all of his sponsors and his fiancee had a glass thrown at her head in a public appearance. When Lochte starred on "Dancing With the Stars," a protester charged him on the stage. Locthe, however, said he has put the incident behind him and wants redemption at Tokyo 2020, an apparent admission that he is not done with Olympic swimming. "Everything happens for a reason," Lochte told Glock. "Look, I was done with swimming back in 2013. I was drained, wiped out. Now I've found a new purpose with my son. This fire has been ignited, and it's bigger than ever, and I'm just so excited because I know what's going to happen in Tokyo. Everyone is going to have to watch out!"